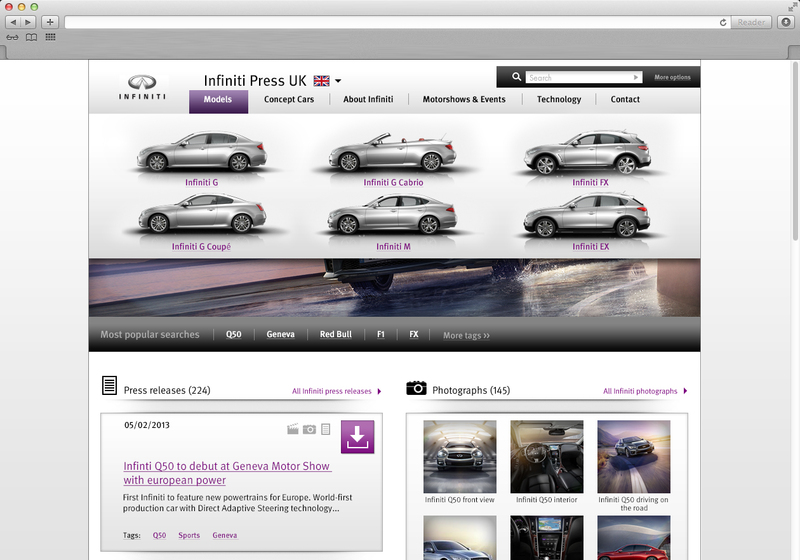 Infiniti had a press site that was not serving them particularly well, so I was asked to instruct them on how to change the content and design a new site. I spent some time in Geneva, talking to the stakeholders before interviewing motoring journalists about their needs and their perceptions about Infiniti. The most interesting thing I learned was how Japanese car makers view their style as different to Germanic cars; they feel that they design the car around the person instead of expecting the person to adapt to the car.